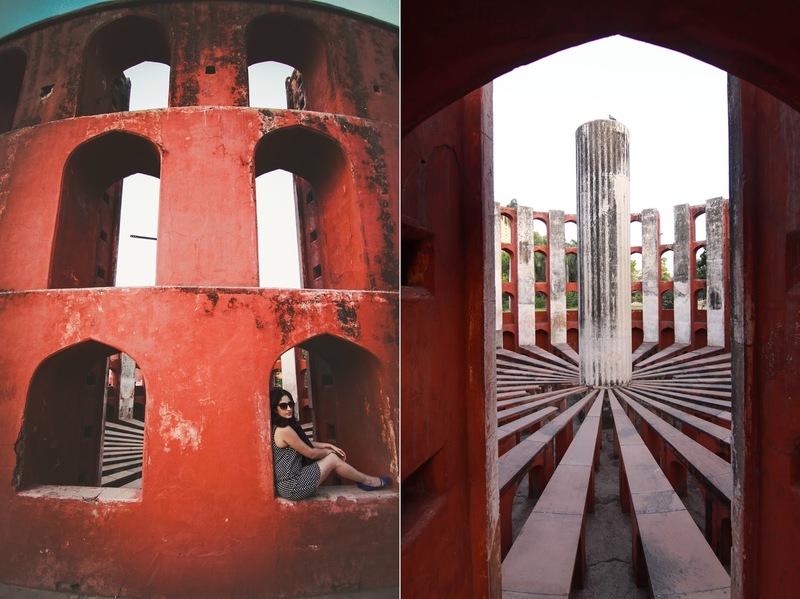 Hidden away in the heart of Delhi amongst the hustle and bustle of Connaught Place lies the architecture marvel The Jantar Mantar. 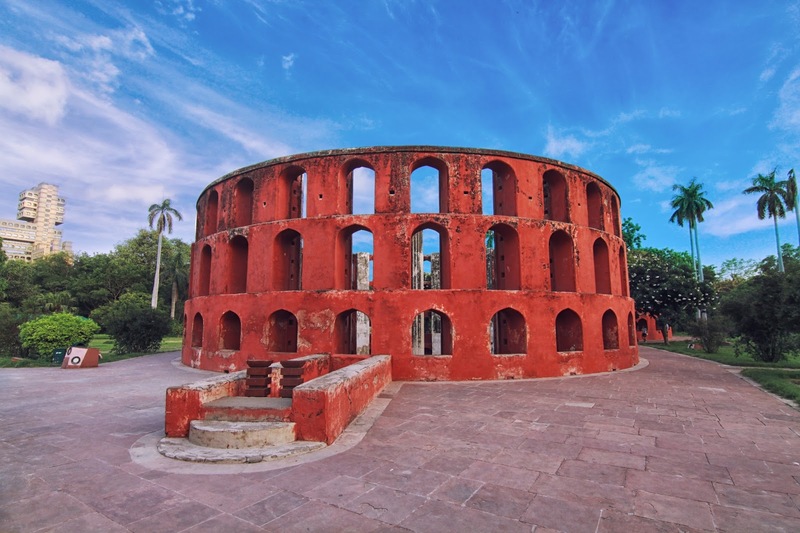 The structure consists of 13 architectural Astronomy instruments, in Sanskrit Jantar means Instrument and Mantar means formulae. In the year 1724 Maharaja Jai Singh was given the task of revising the astronomical calender by by Mughal Emperor Mohammed Shah this site is one of the 5 sites that he built. 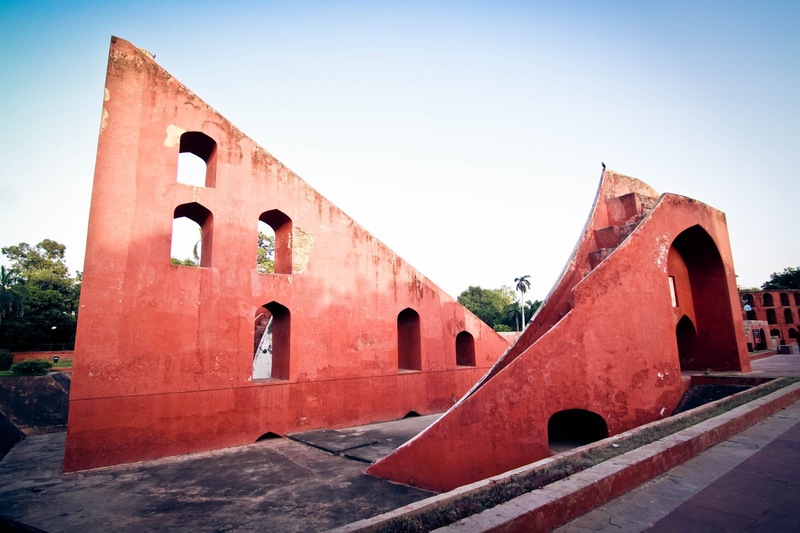 Samrat Yantra: The Samrat Yantra, or Supreme Instrument, is a giant triangle that is basically an equal hour sundial. 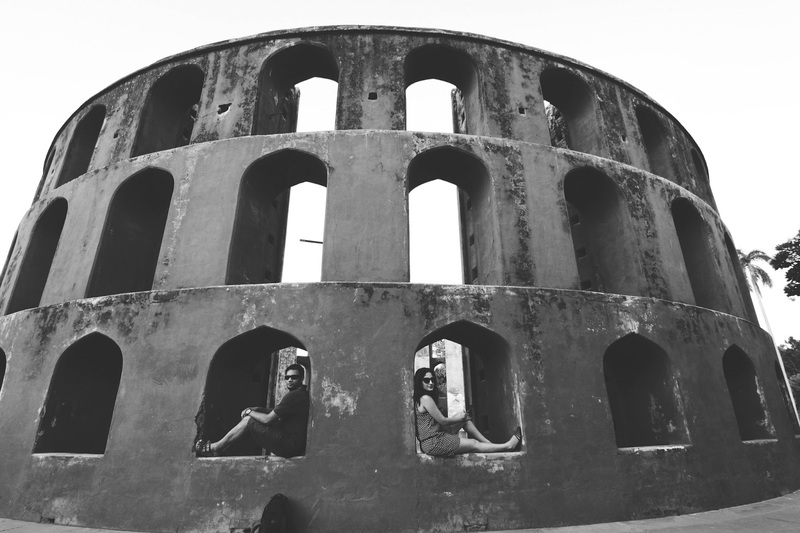 It is 70 feet high, 114 feet long at the base, and 10 feet thick. It has a 128-foot-long (39 m) hypotenuse that is parallel to the Earth's axis and points toward the North Pole. On either side of the triangle is a quadrant with graduations indicating hours, minutes, and seconds. 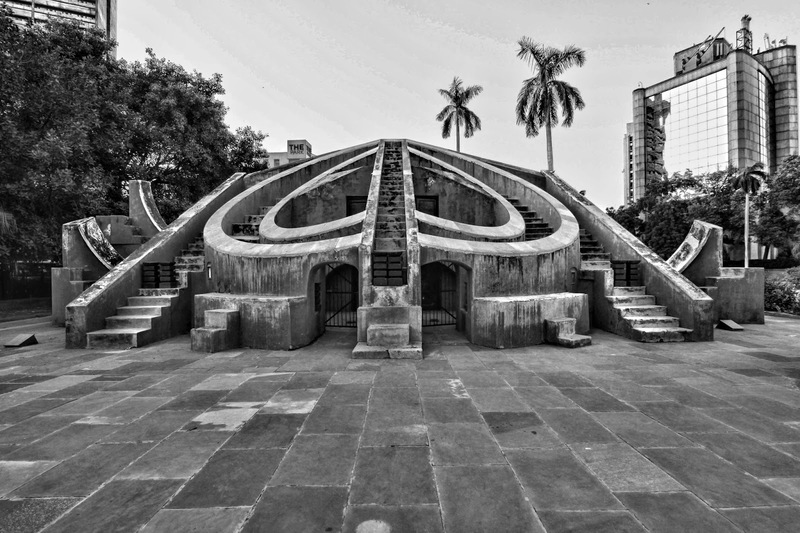 At the time of the Samrat Yantra's construction, sundials already existed, but the Samrat Yantra turned the basic sundial into a precision tool for measuring declination and other related coordinates of various heavenly bodies. various markings or a window's edge. Misra Yantra: The Misra Yantra was designed as a tool to determine the shortest and longest days of the year. It could also be used to indicate the exact moment of noon in various cities and locations regardless of their distance from Delhi – quite remarkable! The primary purpose of the observatory was to make a compiled record of astronomical tables and to predict the time and movement of the sun, moon and planets.